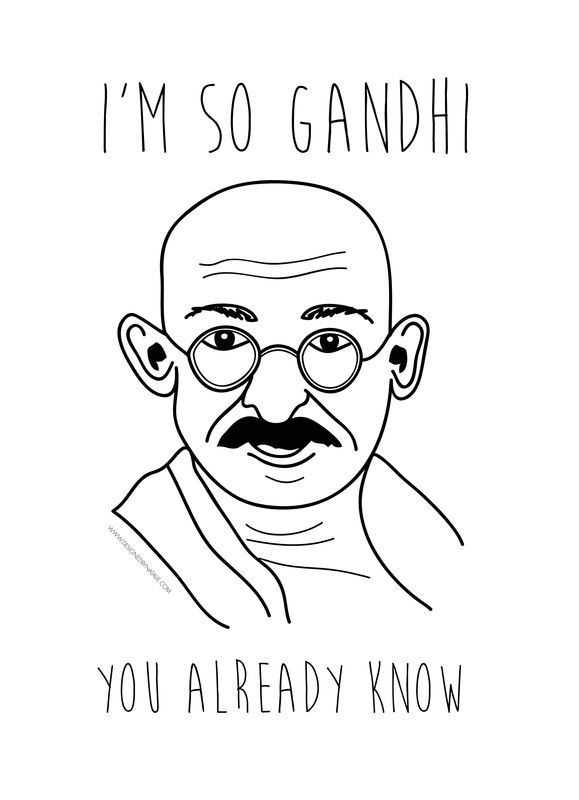 I’m so Gandhi – You already know… A street art parody of the hit rap song ‘Fancy’ by Australian artist, Iggy Azalea. Aussie’s represent! Print your own version to put up on your favorite telegraph pole, traffic light post, graffiti lined alleyway, or liven up your campus, school or office. If you pin it take a photo and share it in the comments of this post or tag it with #sogandhi. Like it? Buy it on a tee shirt, tote bag, throw cushion, or print media here. This is another hand drawn Illustrator design done with my Wacom tablet. A reminder of the song..